With the UAE’s 40th National Day nearing, Eton Institute, UAE’s largest language training provider, supported by Dubai Knowledge Village, will be holding a free educational workshop for the public titled ‘Spirit of the UAE’. This community workshop will give expatriates the opportunity to increase their knowledge about the UAE’s heritage, culture and the local language. 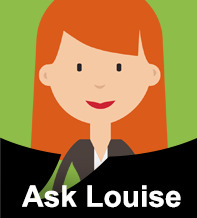 It will also include a traditional coffee ceremony and an interactive question and answer session. The ‘Spirit of the UAE’ Workshop will provide an overview of the history, culture and language of the UAE highlighting interesting facts about the seven Emirates that make up the UAE, as well as, its Bedouin and trading heritage. The workshop will clear common misconceptions and provide guidance about topics such as greeting a lady in a business setting in the UAE and avoiding social faux pas. In addition to the free community workshop, Eton Institute is also giving away 40 free Arabic phrasebooks every day until the National Day for visitors at its headquarters located in Dubai Knowledge Village and will be hosting a free Arabic course for the public. 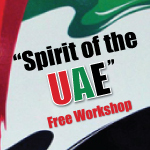 The free ‘Spirit of the UAE’ workshop will be held on Wednesday, 30 November 2011, from 7-9 PM at the Language Studio, Eton Institute, Dubai Knowledge Village, Block 3. For more information about Eton Institute’s National Day celebrations or to book your place for the free ‘Spirit of the UAE’ workshop visit www.eton.ac or call toll-free 8003866. To pick up your free copy of the Arabic Phrasebook worth AED 10, individuals may visit the institute located in Dubai Knowledge Village, Block 3. Limited availability on a first-come first-served basis.